A 40-year data trove shows the aquatic meadows that nurture baby salmon and herring have fluctuated in many bays, but haven’t declined overall. Many measures of Puget Sound’s health may be pointing in the wrong direction, but a new analysis finds that one type of vital, aquatic habitat seems to be holding its own. Using an overlooked trove of data that extends back to the 1970s, scientists determined that the total area of eelgrass beds has changed very little during the past four decades. “It was a big surprise to us,” said Andrew Shelton, a research ecologist affiliated with the Northwest Fisheries Science Center in Seattle. 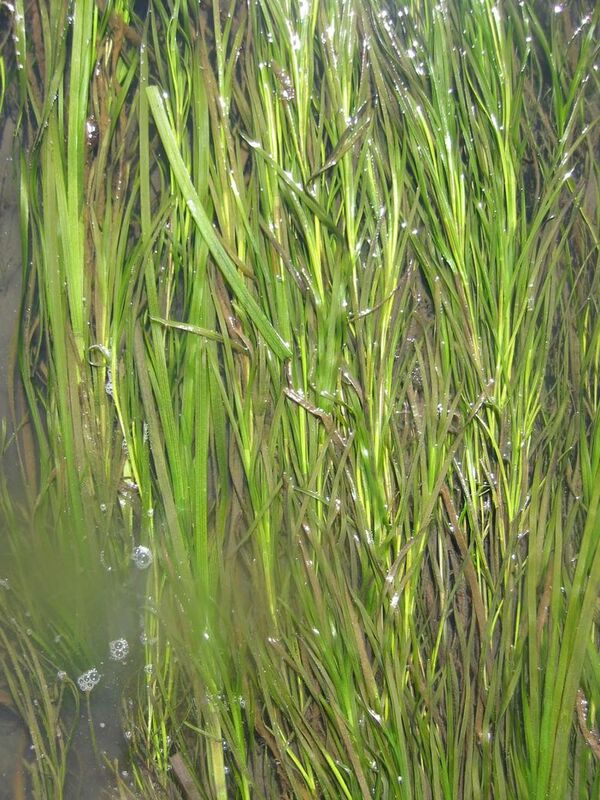 The conventional wisdom has held that shrinking eelgrass beds are at least partly to blame for declines in salmon, herring and other marine creatures that depend on the underwater meadows for food and sanctuary. That could, indeed, be the case in many individual bays and estuaries, the researchers say. Over the past 40 years, eelgrass abundance has declined sharply in some parts of Puget Sound, while increasing in others. The new analysis also doesn’t cover the entire sound, nor does it account for a century of logging, fishing, population growth and industrialization before the 1970s. “The fact that eelgrass has been stable over the last 40 years tells you that things are probably not getting worse, but it doesn’t mean that things are good,” said study co-author Phil Levin, of the University of Washington and The Nature Conservancy. But the overall, stable trend does suggest that eelgrass may be more resilient to large-scale changes, like climate fluctuation, than previously thought. 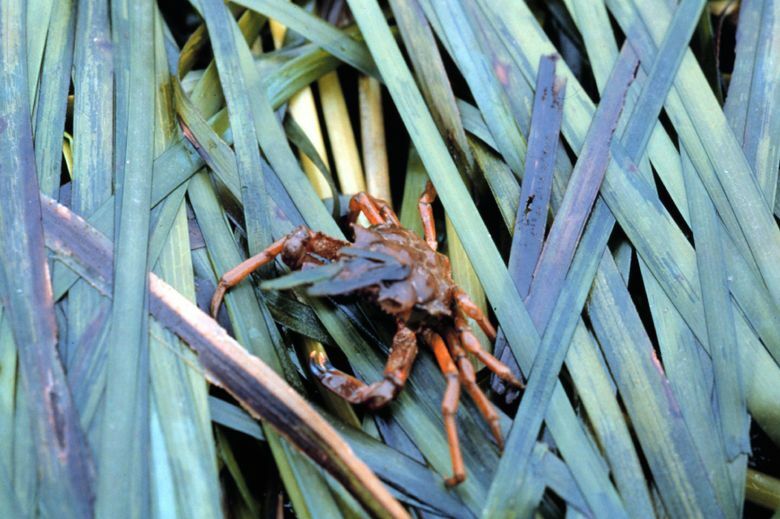 “I don’t see any evidence of climate change impacts on eelgrass in these data,” said co-author Tessa Francis, of the Puget Sound Institute at UW Tacoma. Surveys by the Washington Department of Natural Resources since 2000 also show relatively stable areas of eelgrass, said DNR resource scientist Bart Christiaen. Bright green swathes of eelgrass are a common sight in Puget Sound’s tidal marshes and along the fringes of the coastline. Young salmon and other fish hide and feed among the undulating blades. Scores of invertebrate species, including crabs, cling to clumps of grass or scuttle around the roots, said Francis, who often helps with underwater surveys. “Eelgrass meadows can grow so thick that when you’re swimming through them, you can’t see anything else,” she said. The new analysis revealed that many of the most significant changes in eelgrass abundance occurred on a very small scale — in areas the size of a waterfront neighborhood, park or marina. That means small, localized changes in human activity may be enough to nudge the aquatic nurseries toward expansion instead of contraction, Francis added. The analysis, published in the Journal of Ecology, is based on incidental data collected by Washington Department of Fish and Wildlife staff as they braved blustery, late-winter weather during 41 years of annual herring surveys between 1972 and 2012. The small fish usually lay their eggs on aquatic plants, so crews tossed grappling hooks overboard then made note of the type of vegetation they fished up in order to count eggs. 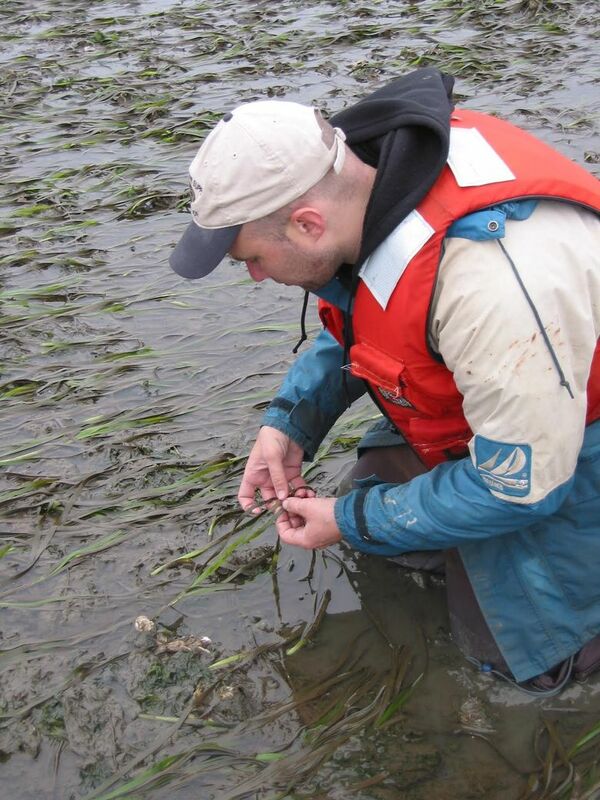 With more than 160,000 separate entries from sea grass beds along hundreds of miles of Puget Sound coastline, the data represent one of the longest-running sets of eelgrass observations in the world, Shelton said. But in many ways, the picture they reveal is confusing, he added. The overall trend across Puget Sound was flat in the surveyed areas, despite huge increases in population and major El Niño/La Niña cycles, which cause warming and cooling, respectively. It’s important to remember, though, that the 40-year period covered by the surveys also corresponds with major environmental legislation, including the Clean Water Act, Christiaen pointed out. “Since then, there has been a lot of work to protect water quality in Puget Sound,” he said. One of the more head-scratching findings is that adjacent areas often showed opposite trends, Shelton said. While eelgrass beds off Cherry Point, north of Bellingham, dropped significantly, those off Lummi Island, just to the south, increased. Eelgrass area nearly doubled in Port Susan, near Everett, while beds in the largely rural waters of Discovery Bay have steadily declined. The scientists found only a weak, negative correlation between human population density and the status of eelgrass beds. They found no apparent link between eelgrass and the extent of bulkheads and other shoreline armoring, though the bulkhead data were very incomplete, Francis said. So the message is probably not that human development and pollution don’t affect eelgrass beds, she said, but that scientists don’t yet understand how. 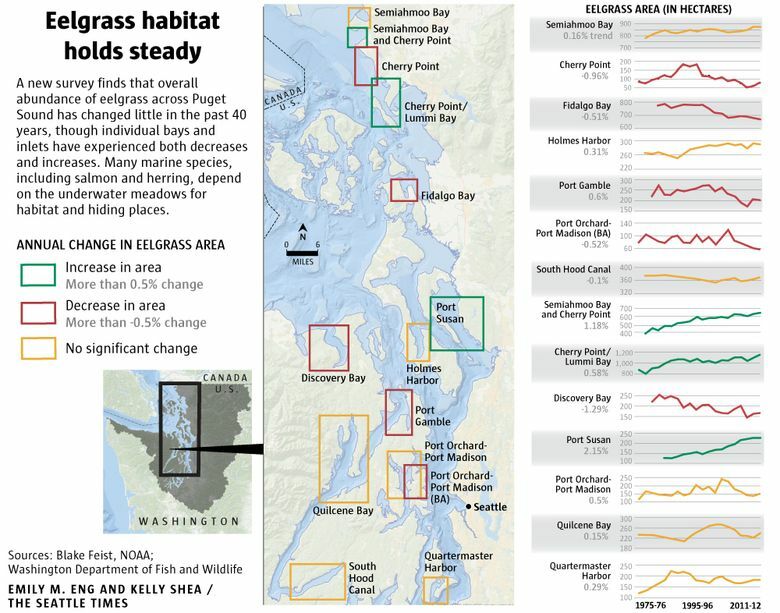 The Puget Sound Partnership has set a goal of increasing eelgrass beds 20 percent by 2020, which could be a tough target to reach, Shelton said. The new analysis may be able to help by highlighting the areas where eelgrass has markedly declined or increased over the past four decades, he added. Zeroing in on the characteristics of those areas, and what has changed, may identify steps people can take to protect and nurture eelgrass. “We have a lot more work to do to figure this out,” Shelton said.